Michael Collins is one of the most complete musicians of his generation. With a continuing, distinguished career as a soloist, he has in recent years also become highly regarded as a conductor and in 2010 took the position of Principal Conductor of the City of London Sinfonia. Recent guest conducting and play-directing highlights have included engagements with the Philharmonia Orchestra, Academy of St Martin in the Fields, Ulster Orchestra, and the HPAC Orchestra in Kyoto, Japan. Highlights this season include a return to the Philharmonia Orchestra as conductor for a regional tour; a Royal Festival Hall concert with violinist Alina Pogostkina; performances worldwide with orchestras including Kuopio Symphony Orchestra, Zurich Chamber Orchestra, and the Rheinische Philharmonie; and tours in South Africa, Melbourne (with the Melbourne Symphony Orchestra) and Tokyo (with the City of London Sinfonia). Last season, his play-direct engagements included Adelaide, Tasmanian and Melbourne Symphony orchestras, the Hong Kong Sinfonietta, as well as Kuopio Symphony. As a conductor, he returned to the Swedish Chamber Orchestra, conducting Vaughan Williams’ Symphony No 5 and Beethoven’s Symphony No 3 and also conducted the BBC Scottish Symphony Orchestra in a programme of Mozart and Bartók. Michael Collins has been committed to expanding the repertoire of the clarinet for many years. He has given premières of works such as John Adams’ Gnarly Buttons, Elliott Carter’s Clarinet Concerto – for which he won a Gramophone award for his recording on Deutsche Grammophon – Brett Dean’s Ariel’s Music and Turnage’s Riffs and Refrains, which was commissioned by the Hallé Orchestra. Collins has gone on to perform Turnage’s work with the Residentie Orkest, Royal Flanders and Helsinki Philharmonics, as well as the London Philharmonic Orchestra. 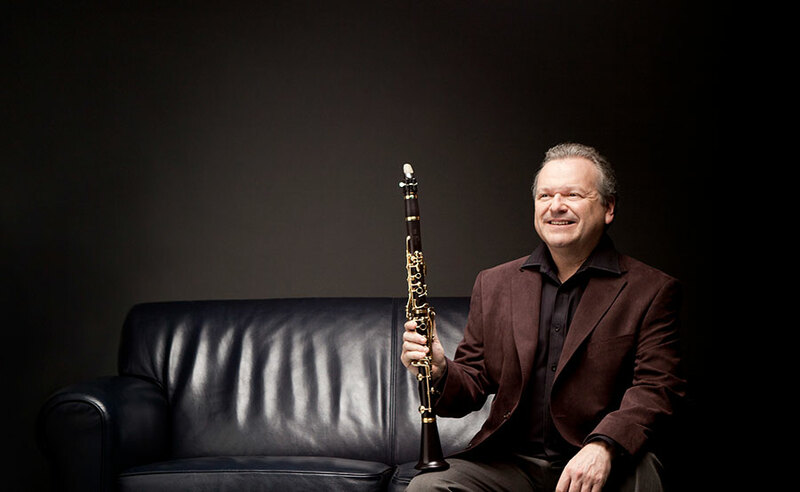 Collins has received the Royal Philharmonic Society’s Instrumentalist of the Year Award in 2007 in recognition of his pivotal role in premièring repertoire by some of today’s most highly regarded composers.